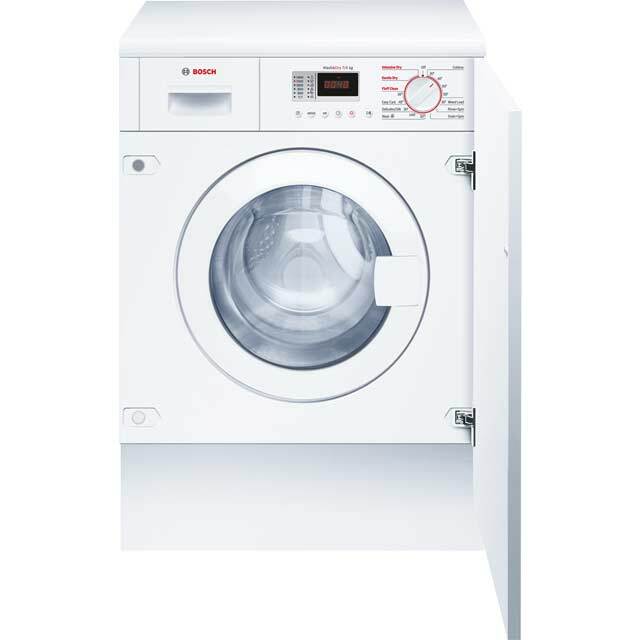 Whether you’re freshening a jumper or removing stains from sportswear, this Bosch washer dryer gives incredible results. 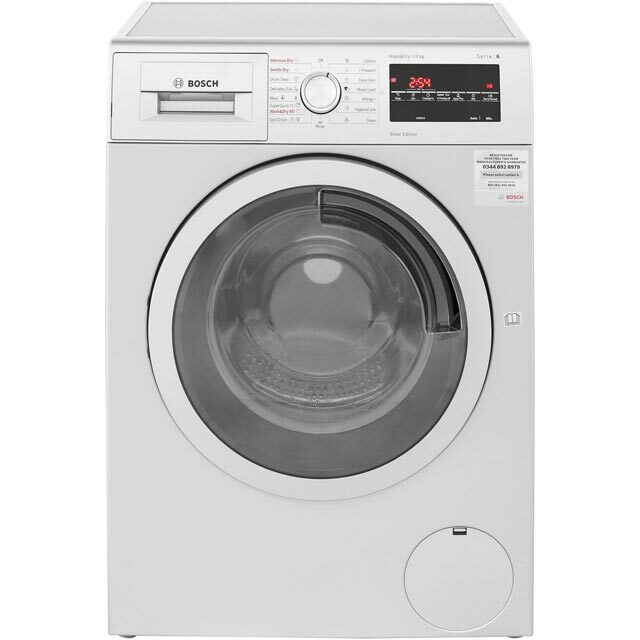 With a 7kg drum, there’s plenty of room for medium-sized households to get through laundry days with ease. You can fit each load round your lifestyle too, thanks to the VarioPerfect™ feature. This lets you add the SpeedPerfect or EcoPerfect option to your chosen wash, saving 30% on energy or cleaning everything 60% faster. For people with allergies, there’s an intense Allergy+ programme too, which removes irritants from clothes so they’re gentle on your skin. Its ecoSilence Drive has fewer moving parts as well, making it efficient and quiet. 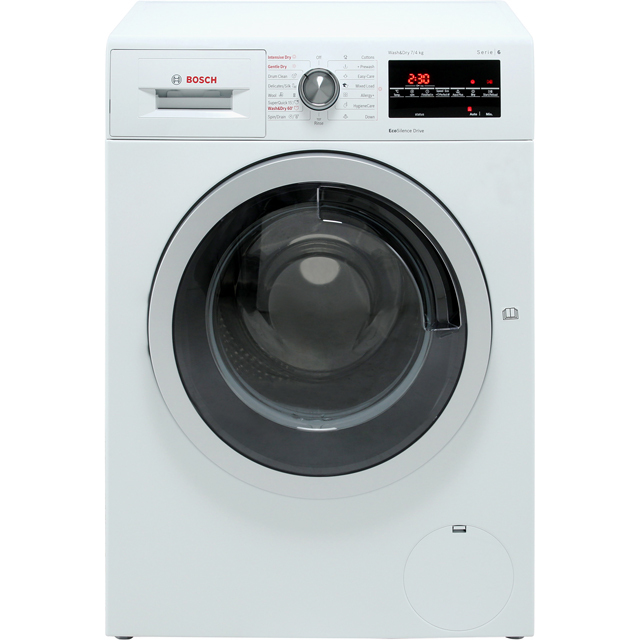 Another great machine from Bosch, they aren't the cheapest but I think they are one of the best. Easy to use without instructions! Quiet and reliable. 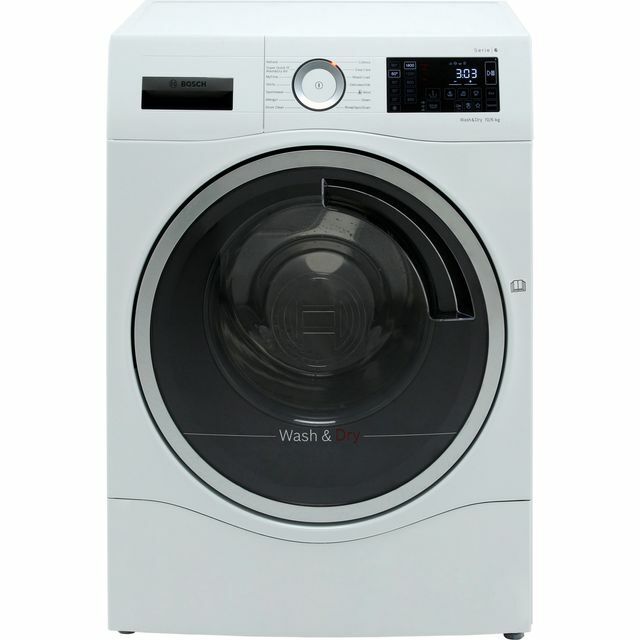 The 4 Kg capacity is good for one person household. I would highly recommend it. 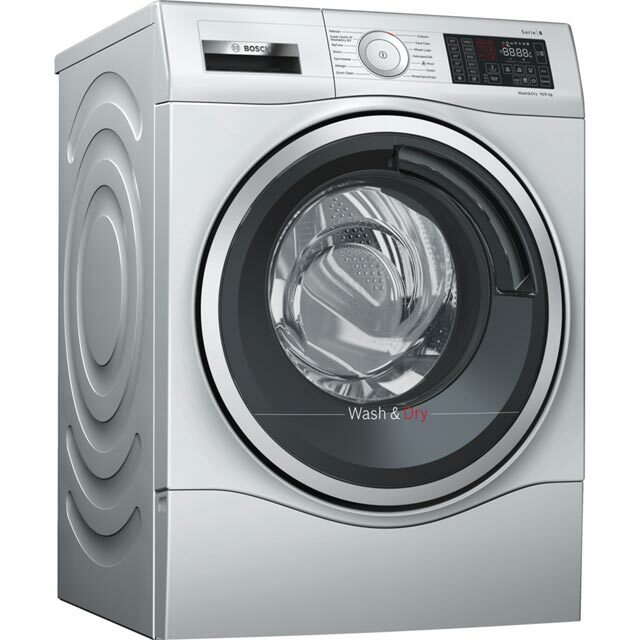 Fantastic washer dryer, great programs & love the overnight timer which means I can do my washing on cheap electric and it’s ready to unload from the machine when I get up in the morning. Great buy, I wanted something easy to use and quiet. Ticks both boxes and of course cleans and dries nicely. Super quiet and not too complicated to operate. Delivery and customer service was very good. * WVG30462GB_WH was at the higher price between 20/03/2019 and 10/04/2019.